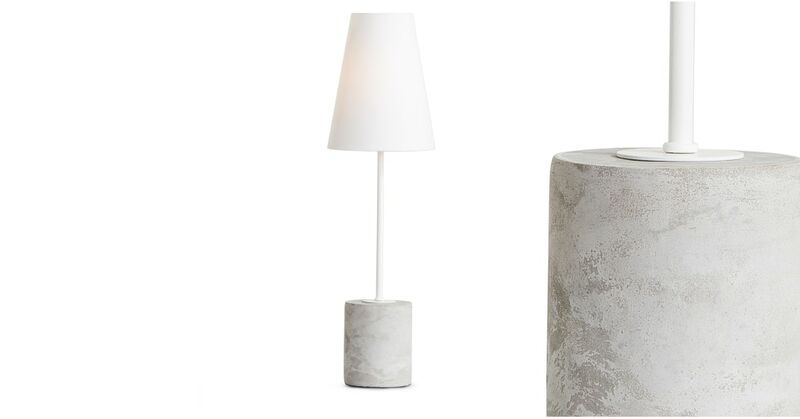 With the industrial look making a resurgence, it’s easy to see why fans of this movement are so crazy for concrete. This tough-luxe style really accentuates urban settings and neutral colour schemes. It may be small but it’s perfectly proportioned. The shade, stem and base create a slim profile, minimising the space it takes up, while maximising the light and impact.